If you are travelling to North Myrtle Beach, there are lots of fun activities you can do with your kids during your vacation! We all love games, especially kids. The North Myrtle Beach area is home to amazing indoor arcades that will keep your whole family entertained all day. Not sure where to begin? 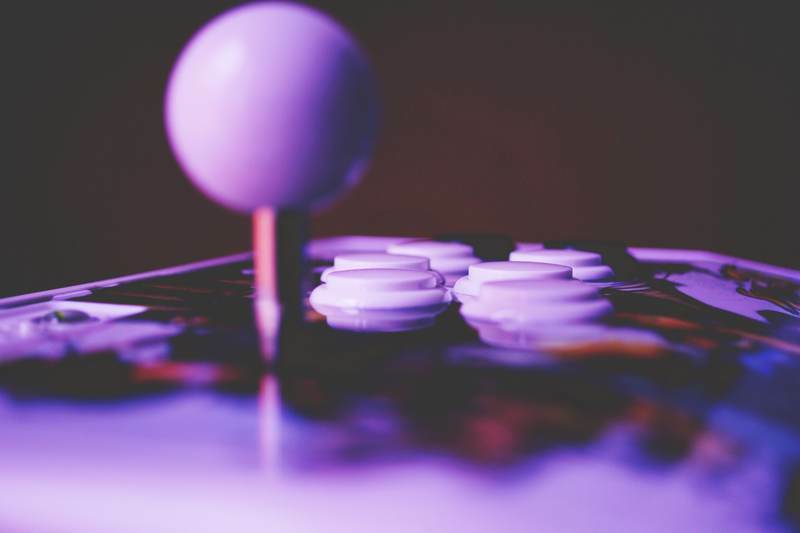 We have listed some of the best activities you can do in arcades while on vacation. Take a break from the scorching sun and the ocean, and enjoy the following fun activities with kids at these area arcades. The only virtual reality arcade in Myrtle Beach, The Nexus VR Arcade provides guests with a window into new worlds and extraordinary experiences. More than 100 games for the whole family, including puzzles, simulators, escape rooms, fighter RPGs, racing, shooters, horror, rhythm, and more! There is no doubt that Myrtle Beach Boardwalk made this side of the coast a tourist destination. You can go to the Boardwalk for a range of fun activities including playing skee-ball games, amusement parks, souvenirs or hermit crabs. 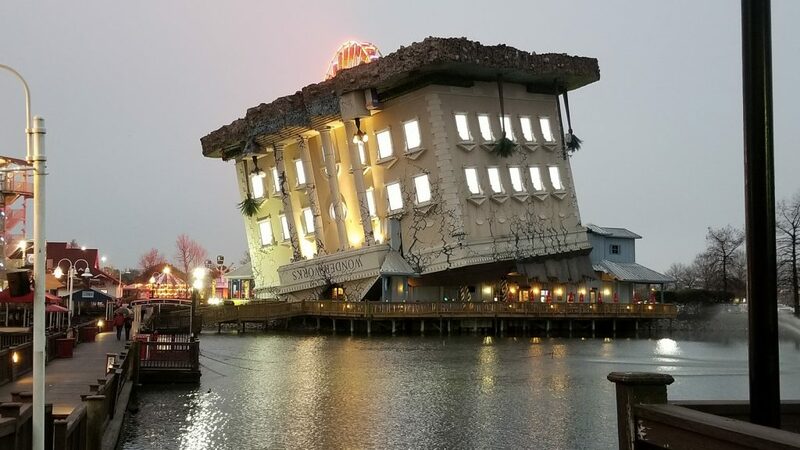 You can also choose to visit the famous Ripley’s Believe it or Not Museum. Located at 1st Ave N to 16th Ave N in Myrtle Beach, the 1.2 mile length Boardwalk is packed with shops, restaurants, amusement parks and area attractions that will keep you occupied throughout the day. 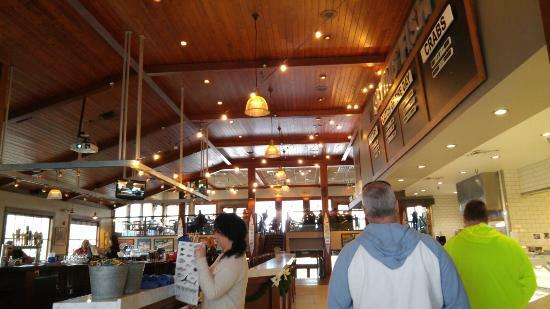 You can enjoy sea foods and a cocktail at restaurants that overlook the ocean front. The area also features a towering Sky Wheel that gives you a clear view of the Atlantic Ocean. The Track Family Recreation Center is located on North Kings Hwy. It features go-karts with two multi-level elevated tracks and an indoor arcade. The Wild Woody is a thrilling drive that takes you three levels up, then down three levels to experience the thrill of driving in high altitude. While the Mighty Myrtle takes you on a twisted and elevated coil ride. The arcade provides something interesting for anyone. Other than the electric go-kart, you can enjoy fun activities like the skee-ball, air hockey, prize cranes and basketball hoops among others. For those who want to try their luck, they can go to the Wheel of Fortune, Tower of Tickets, or Deal Or No Deal to win big. Kids will certainly enjoy the North Myrtle Beach arcade that features Crossy Road, Pirate’s Hook and Fishbowl Frenzy. The Broadway is a wonderful destination for visitors looking for fun activities at the North Myrtle Beach arcade. Located on an expansive 350 acres, the Broadway features famous restaurants and amazing attractions. It has 100 stores, 20 restaurants, 3 chain hotels, nightclubs and a number of attractions. You can also enjoy attractions like the Ripley’s Aquarium and the famous WonderWorks. With so many things to do at the Broadway, no wonder it attracts over 14 million visitors every year. The Broadway Grand Prix features seven go-kart tracks, rock climbing wall, 18-hole mini golf course among other exciting activities. You can choose to go on a ride with the Sky Coaster or the the fun and nonstop arcade games. Other games include skeeball, bumper cars and basket ball. When you visit the Broadway Grand Prix you will certainly be entertained. When was the last time you picked up a bowling ball and sent it spinning down an ally? Whether you’re a competitive bowler or a casual one, your North Myrtle Beach bowling experience should be one to remember. We’re providing you with the best places to go bowling in North Myrtle Beach so when you stay at Grand Strand Resorts you won’t have far to travel to find some great fun! 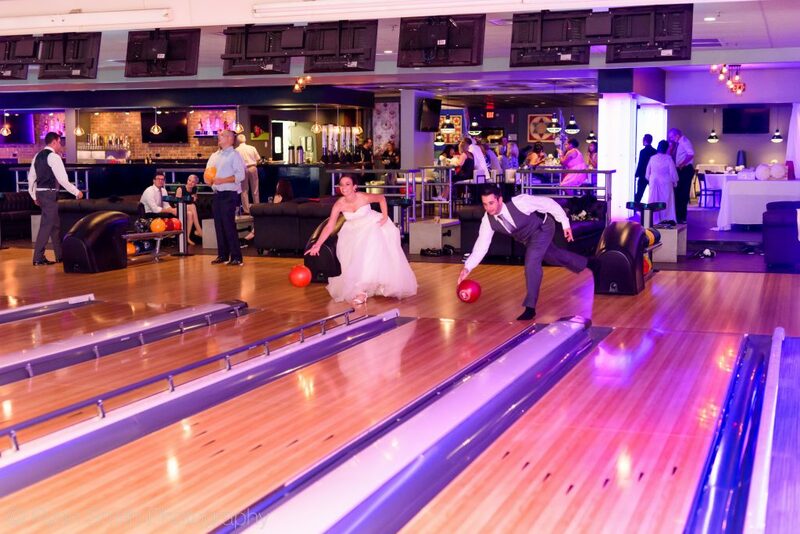 Hours: Mon-Thurs 3 p.m.-12 a.m., Friday 3 p.m.-2 a.m., Saturday 12 p.m.-2 a.m., Sunday 12 p.m.-12 a.m.
Offering 14 standard lanes, 6 boutique lanes, billiards, bocce courts, table tennis, shuffleboard tables, air hockey and an onsite pub. Hours: Mon-Thurs 9 a.m.-11 p.m., Fri-Sat 9 a.m.-12 a.m., Sun 9 a.m.-10 p.m. Hours: Sun-Thurs 10 a.m.-10 p.m., Fri-Sat 10 a.m.-2 a.m.
Just a short 25 minute drive north. Offering 32 lanes of bowling, a 2-story laser tag arena, bumper car arena, redemption arcade, bounce house, bowling Pro Shop, and the unique Starz Grille family restaurant. Hours: Mon & Wed 1 p.m.-Midnight, Tues & Thurs 9 a.m.-Midnight, Wed 1 p.m.-Midnight, Fri 1 p.m.-1 a.m., Sat. Noon-1 a.m., Sun. Noon-10 p.m.
Offering weekly specials, free Winterfest for kids, Bowlopolis birthday parties, Glow-n-Bowl, weekly leagues for kids and adults, group packages, and more. Named a “Best U.S. Golf Destination” by USA Today, the greater North Myrtle Beach area is home to more than 100 courses conceived by top designers. Nestled between the Atlantic shoreline and the Intracoastal Waterway, North Myrtle Beach provides the backdrop for some of the most popular courses along the Grand Strand. Here are our picks for the best golf courses in North Myrtle Beach. Designed by Gene Hamm, Beachwood Golf Club ia an 18-hole course built in 1968. Noted for its open layout and ever-immaculate condition, Beachwood has hosted many tournaments, including the Carolinas Open and the Carolinas PGA Seniors Championship. This is a reasonable, public course for all skill levels, measuring 6,820 yards Par 72. Quietly situated between the Atlantic Ocean and the Intracoastal Waterway, Beachwood Golf Club is a local favorite. One of four highlight courses at Barefoot Landing, the Dye Course provides a unique combination of demand levels, with the back nine stepping up the intimidation. Course architect Pete Dye’s signature style is well-represented in the variety of hazards and landscapes of this 7,343 yard Par 72 course. Framed by powder white sands, the Dye Course is as scenic as it is demanding. Another Barefoot Landing option is the Fazio Course. This classic Lowcountry course features significant challenges woven into lush live oaks, pines, sand, and native grasses. The Fazio Course is a Par 71, and 6,834 yards long. With just the perfect balance of effort and reward, this course is suitable for average and experienced players. Davis Love III’s design is the most popular of Barefoot Landing’s courses. This Lowcountry design is highlighted by the recreated ruins of an old plantation home occupying a portion of the front nine. Playing over 7,000 yards at a Par 72, the Love Course is also home to the Grand Strand’s shortest par 4. Link2golf Special! Barefoot Resort Norman Course, $35 per player with a cart! Over 50% off! Book your tee time with your friends using the link2golf app! #gregnorman #theshark #greatdeal #PGATour #link2golf The Norman Course is a Par 72, approximately 7,200 yards long and was designed with Norman’s philosophy to bring into play the”bump and run” shots around the greens. This will give the player the option to play a number of different shots. Reopening after a recent renovation, Glen Dornoch Waterway Golf Links holds claim to the “toughest finishing holes with a remarkable waterway view”, making it the perfect combination for a satisfying day on the green. Enveloped by more than a half-mile of waterway and natural Carolina wetlands, the Glen Dornoch course capitalizes on its environment with a stunning double-green shared by the ninth and eighteenth holes. Accuracy is the key to this Scottish-style course. Situated on 200 acres, Surf Golf and Beach Club has been welcoming golfers of all ages and types for more than 50 years. Recently renovated, the traditional, Parkland-style, Par 72 course measures 6,842 yards. Practice facilities and range of difficulty make this a wildly popular course for visitors and locals alike. Tucked between the Intracoastal Waterway and Cherry Grove, Tidewater Golf Club features one of the most inspiring traditional courses around. The unique positioning of Tidewater affords for unparalleled, elevated views and fresh ocean breezes. The demands of the course are as varied as the landscape, so it’s no surprise that Tidewater is the most awarded of all South Carolina and North Myrtle Beach golf courses. Azalea Sands is one of the few golfing locations along the Grand Strand with no homes adjoining the course. Opened in 1972, the course offers multiple tees for more customized game play, from 5,148 yards at the red tees to 6,902 yards at the tips. Azalea Sands features wide fairways, well-bunkered greens, and strategically-located lakes for a classically challenging game. Regardless of your skill level, you’ll find the perfect place for tee time here in North Myrtle Beach. From practice to pro, we have the facilities to hone your skills and the views to take your breath away. When you plan a vacation, you certainly plan on spending money, but a little creativity can go a long way toward cutting your costs while enriching your experience. Step off the beaten path to explore the Grand Strand, and you may just discover a new appreciation for the area and the savings! Consider adding some of our favorite suggestions for free fun to your next North Myrtle Beach vacation. Broadway at the Beach is an outdoor entertainment, dining, and shopping complex centered around a 23-acre lake. Nestled in the heart of Myrtle Beach, Broadway is home to more than 100 specialty shops, family-friendly attractions, an assortment of dining options,and nightclubs for the after-hours crowd. Barefoot Landing offers a vast array of shops, eateries, and attractions along the Intracoastal Waterway. Enjoy your choice of grab-and-go snacks while window shopping and catching live entertainers. Both Barefoot Landing and Broadway at the Beach offer fireworks displays on select nights. Beyond its shopping and dining venues, The Market Common hosts numerous free events throughout the summer, including movies, concerts, and a weekly Farmers’ Market. The possibilities truly are endless! The Myrtle Beach Area hosts an assortment of annual events that offer a glimpse into our community and a taste of our culture. We have a festival for every season, and it’s easy to plan your visit to savor the flavors you crave. Top draws include the World Famous Blue Crab Festival, MayFest On Main, and A Grand Strand Holiday. From music and food to holidays and our world-famous beach – we have plenty to celebrate! Of course, no Myrtle Beach visit is complete without a beach day (or three). Sandy toes and sunshine comes free, and the coastal breezes are more than tempting, but if the great outdoors are calling, the beach is just the beginning! Soak up the sights and sounds of nature with a picnic at Grand Park, across from Market Common, or scout out native birds within the saltwater marsh at Murrells Inlet MarshWalk. Try your luck at an award-winning catch off the 985-foot Cherry Grove Pier, where memories are fueled by legendary fish tales and breathtaking views. Or take a short drive north to take in 100 winding acres of lush landscapes and wildlife on the hiking trails at Vereen Memorial Historical Gardens. There’s no shortage of beauty and tranquility in North Myrtle Beach! For beauty of another sort, take in nearly a dozen galleries of contemporary visual masterpieces peppered with Southern tradition from local artists at Franklin G. Burroughs – Simeon B. Chapin Art Museum. What a perfect way to get a genuine feel for Carolina culture! 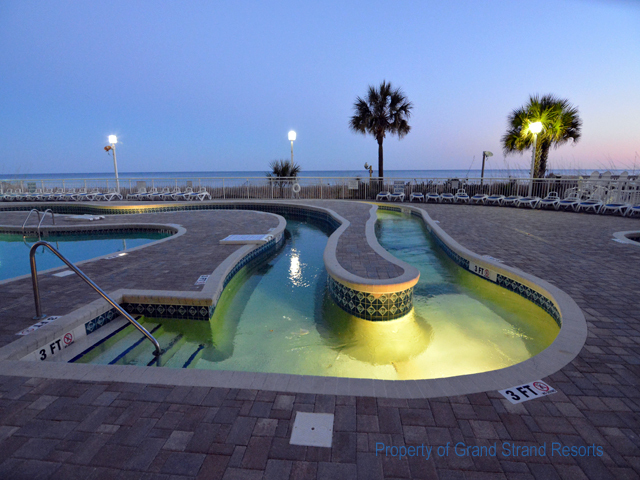 Of course, you can always count on special offers from Grand Strand Resorts to help save on your accommodations as well. Deals like 15-25% off full week stays or free nights thrown in, are not to be missed! If we can assist you in any way, please give us a call at 800-367-6515 or reach us through our Contact page. When it comes to ice cream you just can’t go wrong. Whether you enjoy it soft or hard, in a dish or in a cone, or 1-, 2- or 3-scoops we all agree that when it comes to relaxing and enjoyment, ice cream is close to the top of the list. There are plenty of places where you can get ice cream in the area but here are some of the best spots in North Myrtle Beach SC! Making ice cream since 1952 you simply must try Painters. There original location is at 2408 Highway 17 S, North Myrtle Beach. Homemade, small batch ice cream in signature flavors, sundaes, shakes, smoothies and custom cakes. Frozen treats for dogs, too! Located at Barefoot Landing, 4742A Hwy. 17 S., North Myrtle Beach. Over 40 flavors of ice cream. A favorite spot among locals! Located on Main Street in the Ocean Drive section of North Myrtle Beach. Serving up tasty treats to families from all over the country since 1997. Stop in and get a taste of a real, old-fashioned ice cream shop. Located at 91 S Ocean Blvd, North Myrtle Beach. Welcome to sunny North Myrtle Beach! Known for its beautiful location along the pristine Grand Strand and for offering some of the most family-friendly attractions and restaurants along the East Coast, it’s not hard to see why North Myrtle is an annual tradition for many. Barefoot Landing, award-winning golf courses, and world-class restaurants are just a few of the popular things to do in the area. But, the beach most definitely steals the show. 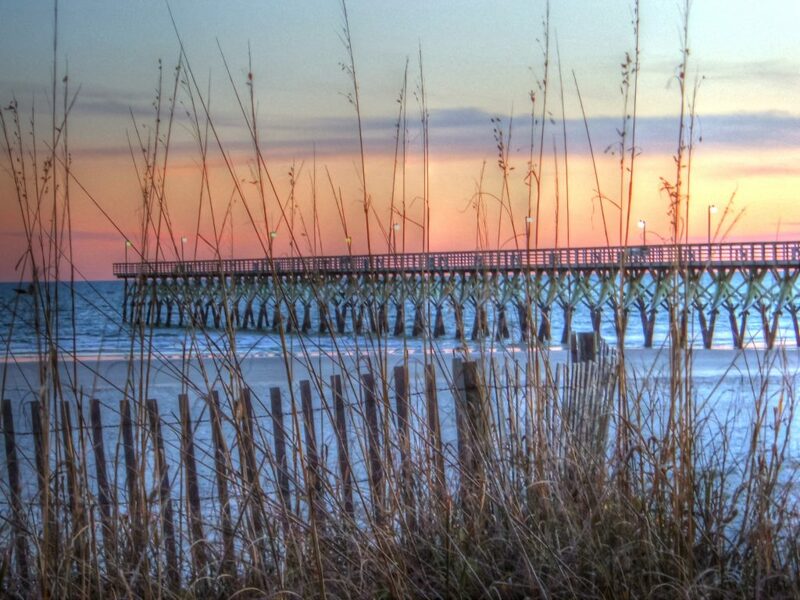 Situated along the northern end of the Grand Strand, North Myrtle Beach enjoys ~15 miles of coastline. Located outside of the hustle and bustle of the main Myrtle Beach stretch, North Myrtle offers a slower pace. Visitors flock to our sandy shores each year to enjoy our wide-open beaches, which are ideal for swimming, surfing, and basking in the sun. Of course, the number one priority when visiting any beach is safety! The North Myrtle Beach public beaches adhere to the standard beach warning flag system, and it’s a good idea to be familiar with what these flags mean prior to your trip. 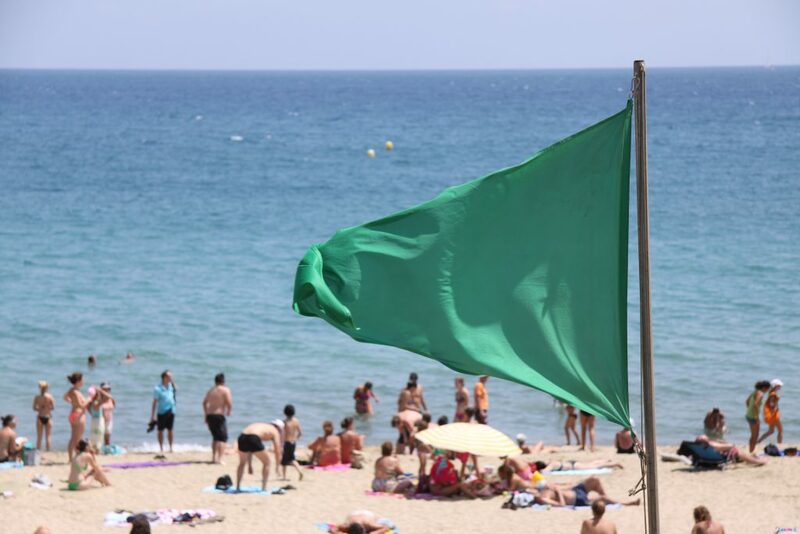 These flags will be visible along the beach and can give you a heads up on current beach water conditions. Water is closed to the public. Swimming is not permitted. Rough conditions, like strong surf and/or surf, are present. Swimming is strongly discouraged for all beach visitors. Those entering the water should exercise extreme care. Moderate surf and/or currents are present. Weak swimmers should avoid entering the water. Advanced swimmers should exercise caution. No or very light surf and/or currents are present. Swimming is considered safe for visitors of all levels. Dangerous marine life, like jellyfish, stingrays, or other marine life are present in the water and exposure can cause minor injury. Swimmers are advised to exercise caution. Please also note that this flag does not indicate the presence of sharks or extremely dangerous marine life. In addition to posted signs, marine flags, and a full-time lifeguard staff, North Myrtle Beach also offers a beach patrol division for added protection. The beach patrol is responsible for law enforcement along the beach and for the overall safety of all beach visitors. Each officer employed is fully certified in CPR and the use of automated external defibrillators. The patrol division is active throughout the year with officers present in trucks, various off-road vehicles, and even bikes. Feel free to approach an officer if you ever have a question about beach safety or if you need assistance. Swim near a lifeguard – North Myrtle Beach does hire a full staff to man the 54 lifeguard towers located along the 10+ miles of beachfront. Use sunscreen – North Myrtle Beach enjoys a sunny beach season that lasts from late spring through the fall. The use and reapplication of sunscreen with at least 30 SPF is recommended for beach guests of all ages. Hats and beach umbrellas are also recommended to limit direct sun exposure. Drink water – A long day at the beach can be exhausting! Be sure you stay hydrated by drinking plenty of water. Review rip current procedures – Though they are generally rare along the North Myrtle Beach coast, rip currents are real and they do happen. Be sure that everyone in your group knows how to swim to safety through a rip current to mitigate the risk. 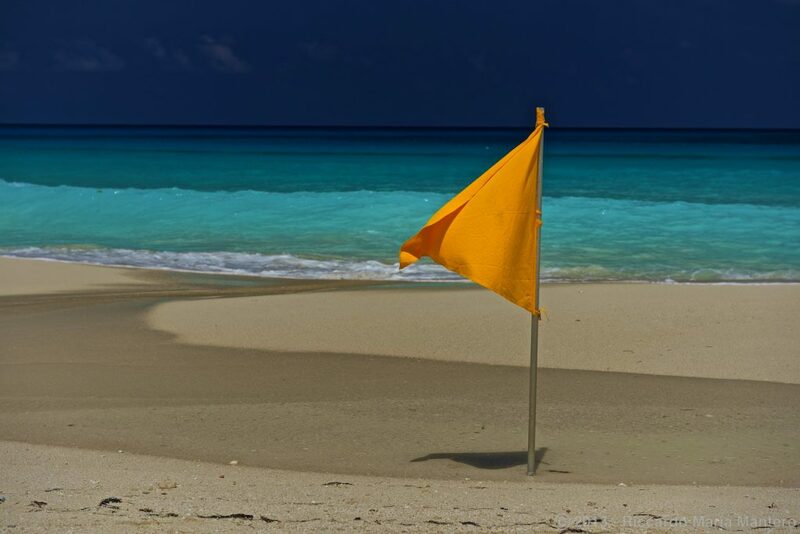 Obey posted signs and flags – Be sure to review all area signs and flags to be aware of current beach conditions and adjust your plans accordingly. Do not litter. Bring a trash bag with you for clean up and dispose of items in designated trash areas that are provided near beach entrances. Do not bring glass on the beach. Glass can break and easily blends in with the sand. Do not set up umbrellas, tents, or chairs on the dunes or near beach fences. And, as a reminder, large tents are not permitted on the beach. Do not walk your dog off the leash, and obey general dog laws. No dogs are allowed on the beach between 9 a.m. – 5 p.m. from May 15th – September 15th. 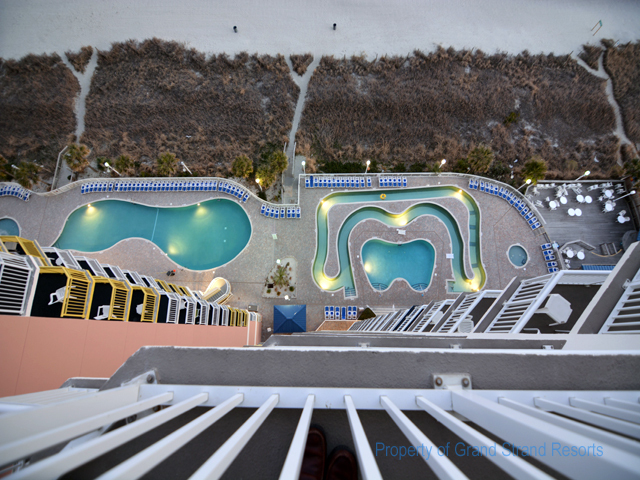 If you are looking to vacation in North Myrtle Beach you know that water is never far away. 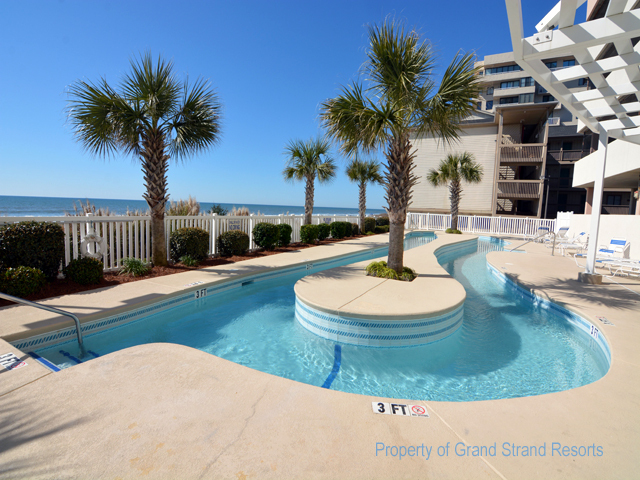 The majority of our vacation rental condos are oceanfront while the rest are just a short walk to the beach. Wherever you stay, you’ll want to make sure your resort has those “must-haves” that everyone in your family needs on vacation! 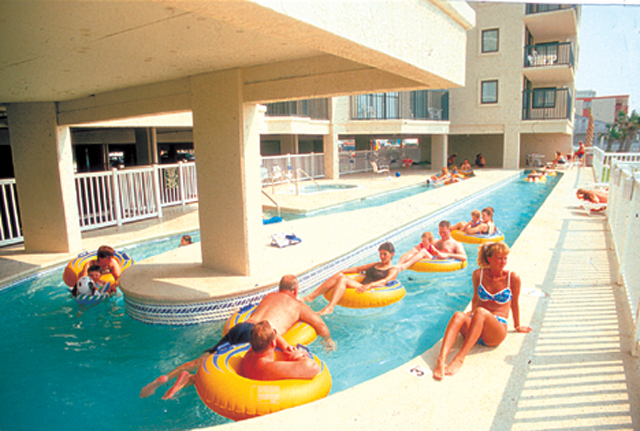 To help you, we’ve compiled a list from a very popular request: North Myrtle Beach resorts with lazy rivers. Search the resorts below and visit each page to find more information, our selection of condo rentals at the resort and complete your booking easily. Questions? Feel free to contact us & we can help. With its spacious and multiple-bedroom condos, The Ashworth is an ideal pick for a family on vacation. Located at the Ocean drive section, this resort offers a warm and relaxing atmosphere to visiting tourists. The condos in this resort each have their own private balcony that guarantees a peaceful stay and very beautiful views of the Atlantic Ocean kissing the beach. The premium amenities that are offered by this establishment include Onsite pools and hot tubs, a lazy river for fun and relaxation, a sundeck, a fitness center and free high speed internet that will allow for you to share your beautiful pictures with family and friends. This facility is also located close to shopping, entertainment and dining amenities. Baywatch Towers 1 is a sophisticated resort that accommodates between 6 and 10 people. It has units with one to three bedrooms. 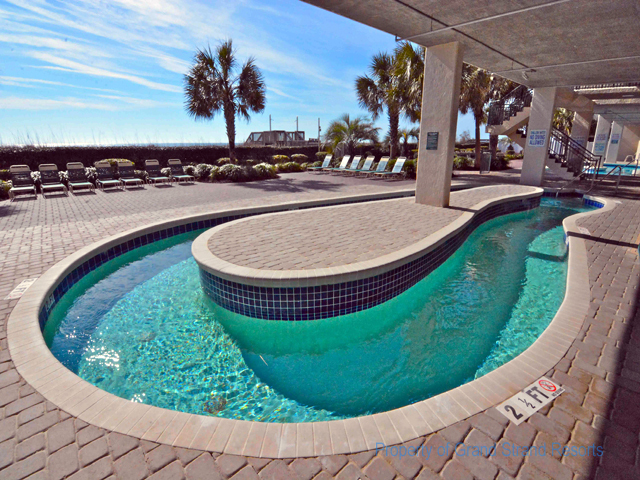 The amenities offered by this facility include a restaurant and lounge, an outdoor lazy river, an indoor, outdoor and kiddie pool and a beautiful view of the North Myrtle Beach. Shopping, dining and entertainment centers are also within reach. This resort is the perfect stay in location when one wants a pampering experience. If you like what Baywatch Tower 1 offers but you are a bigger group, worry not, Baywatch Tower 2 is the resort that will sort your needs. This establishment accommodates between 4 and 14 people. It is equipped with amenities that will not only make your stay comfortable, but memorable. Baywatch Tower 3 offers comfort and convenience at the same time. If you have travelled in a group, the condos have sleeper sofas that will bail you out. 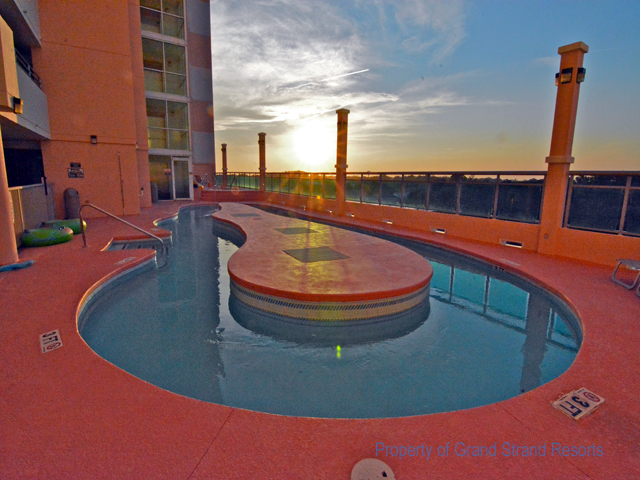 The condos have a beautiful view overlooking the white sandy beaches and Atlantic Ocean. If you are into golf, this facility provides these services as well. 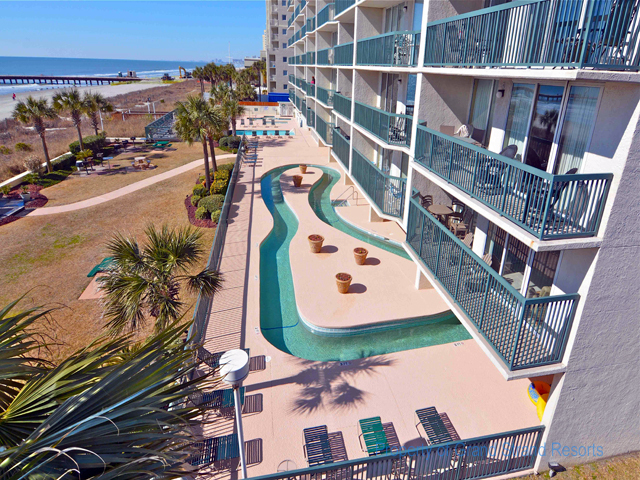 This resort is a beautiful property that is oceanfront! A good option to consider when looking to stay at the beach as a couple. It has an indoor, outdoor pool, a hot tub, an exercising room and free Wi-Fi. Crescent Keyes is best described as an easy environment. It is an ocean front condo that can accommodate 8 -10 people. With a great balcony view for the sunrises and sunsets, a lazy river for relaxing and unwinding and its location being favorable to activities such as parasailing and banana boat rides, Crescent Keyes serves as a good resort option. Crescent Shores resort is a two-tower majestic delight! 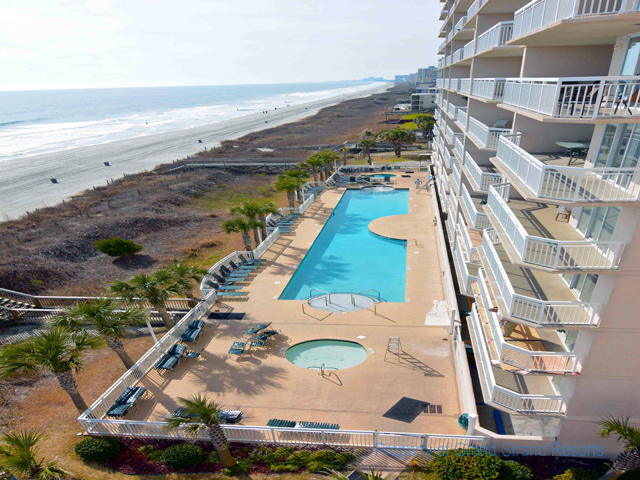 It is a very popular option for families that are looking to vacation in North Myrtle Beach. The condominiums have two, three and four bedroom options and serve a lot of space that can be utilized by big vacationing groups. Your family will love the lazy river, pool, exercise room and high speed internet that the facility has to offer. 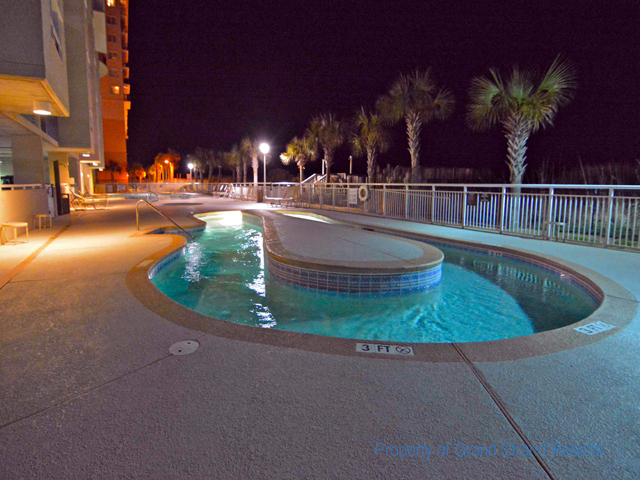 The Laguna Keyes is a popular property at Cherry Grove Beach. It has ocean front condos that accommodate up to eight people. It has a simple yet warm setting that would work well for a vacationing group that is seeking thrill and tranquility at the same time. If new and luxurious is what you are looking for from a resort, then North Shore Villas offers this and more. It has very spacious condos that have multiple bedrooms and beautiful amenities that can greatly contribute to your vacation. All this topped up with a beautiful beach and oceanic view. One word that can be used to describe this resort is simple. The simplicity of this property provides a calm and relaxing atmosphere that can work well with a get away. The condos can accommodate up to 10 people. It is also close to necessary amenities in the area. South Shore Villas offer a first class experience that would work well for a family. So if you are looking for that pampering when on vacation, this is the place to stay. The villas have only 63 condominiums which means no crowding. The magnificent ocean front units automatically transform this resort into a premier property. What more could you ask for in a resort? The units at the Verandas are small but cozy. 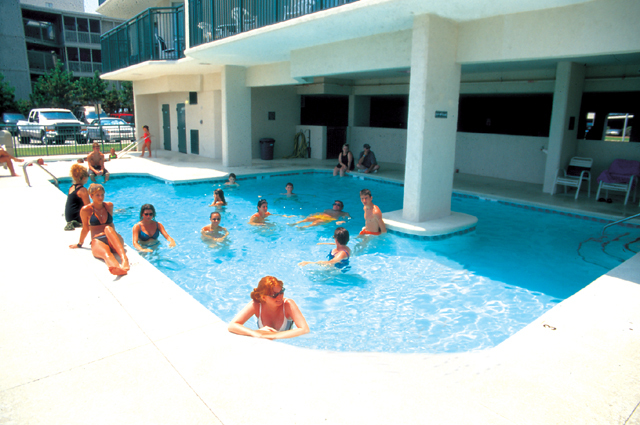 The resort is very ideal for a couple or a small group of people seeking to vacation. 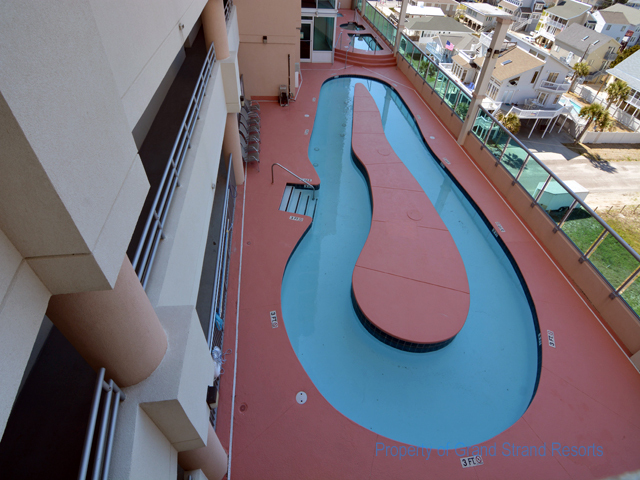 It is centrally located and has relaxing amenities such as a lazy river that one can enjoy with their family. Windy Hill Dunes is a fun and comfortable complex. It has units with three and four bedrooms that can comfortably accommodate a family. The finishing on this facility is impeccable and oozes of class and comfort. The rooms are also very well equipped. 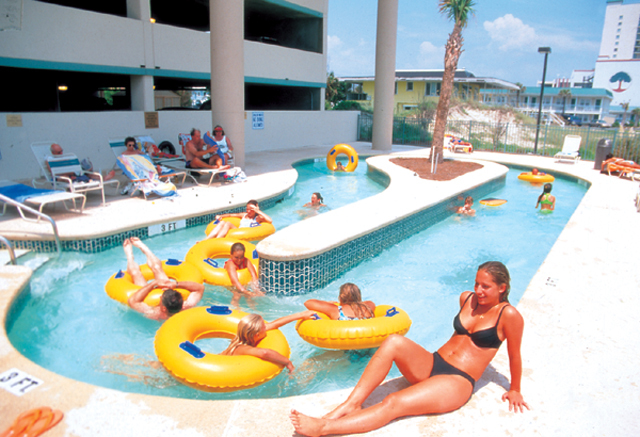 When in North Myrtle Beach, pick a resort with a lazy river from the best the area has to offer, then sit back and enjoy your vacation while sipping a cool drink on a hot day! There are so many ways to explore and enjoy the picturesque North Myrtle Beach coastline… by foot, by bike, by boat, and even by horse! Yes—horse! Perfect for couples and families, group events and special occasions, beach horseback riding is the hottest new activity and is a unique and fun way to take in the beautiful beach surroundings. Curious about how you can make your horseback riding dreams a reality? We’ve got your guide! Beach horseback riding services are offered at Inlet Point Plantation, which is the only area along the Grand Strand where horses are allowed on the beach. The scenic beach property offers more than 4,000 acres of expertly manicured and maintained wilderness. The plantation features several historic homes and barns, a wide array of natural wildlife, gorgeous oak trees and landscaping, and access to Waites Island, an expansive private beachfront estate. Locally owned and operated by the Smith family, Inlet Point Plantation currently owns 45+ horses that are cared for on-site. The full-time, professional staff is trained to care for the various breeds that the plantation houses, including Tennessee Walkers, Warmbloods, Appaloosas, and Belgians. The owners take the utmost care and responsibility for their gentle giants and are happy to answer any and all questions about the horses. Inlet Point Plantation offers several unique beach horseback riding packages. Each horseback tour is led by a professional horse handler. Safety is a top priority, so each member of the tour will be briefed with safety basics prior to embarking on the trip. Riders are also matched with a horse that best suits individual needs, experience, and personality. Meeting and getting to know your horse is half the fun! Tour guides are passionate about horses and about the Grand Strand. Feel free to ask questions along the interactive tour, guides are happy to lend their expertise on local events and history. Horseback riding along the beach is certainly a special occasion enough, but if you are celebrating something, like a birthday or anniversary, or if you want to make the event extra special, take advantage of one of the tour add-ons available. Private island beach ride upgrade $100 (per party) Make your beach tour private! Great for birthdays, group events, proposals, and more! Youth birthday party package $150 Four hour birthday party in the pecan grove picnic area. Two horses to be used for pony rides during the party. Professional photos $30+ Professional photography during your beach excursion. A horseback ride along the beach is the perfect way to create priceless memories in North Myrtle Beach. Inlet Point Plantation is open Monday through Saturday from 9 a.m. to 4 p.m. Tours are provided year-round, though availability does vary based on seasonality and weather. Call (843) 249-2989 to inquire about tours or to book your session! What are horseback riding age restrictions? Most of the tours offered at Inlet Point Plantation can be taken by guests seven years or older. ‘Experienced’ riders for the ‘journey’ tour need to be at least twelve years of age. Do I need experience to take a horseback riding tour? No experience is required to take a tour! Can riders share a horse? Unfortunately, no. Due to safety concerns, the plantation only allows a single rider per horse. Yes! Reservations are required. Please call in advance to save your spot. No! The only requirement is that a rider is able to mount the horse using only a mounting block. There is no dress code, though comfortable attire is recommended. You will be outside, so dress according to the weather. No, the only restrooms on the property are in the stable lobby. Can we get off the horses at the beach? Group tours do not allow riders to take breaks along the beach. There are exceptions for private tours and photo packages.